Former Indiana University President and Sigma Nu alum Herman B. Wells would be rolling in his grave if he heard the latest in Greek life. After gracing the Bloomington campus for 125 years, the Beta Eta chapter of Sigma Nu has officially been suspended from Indiana University by its national leadership. According to a statement from the University, Sigma Nu was suspended for alleged alcohol violations and hazing. 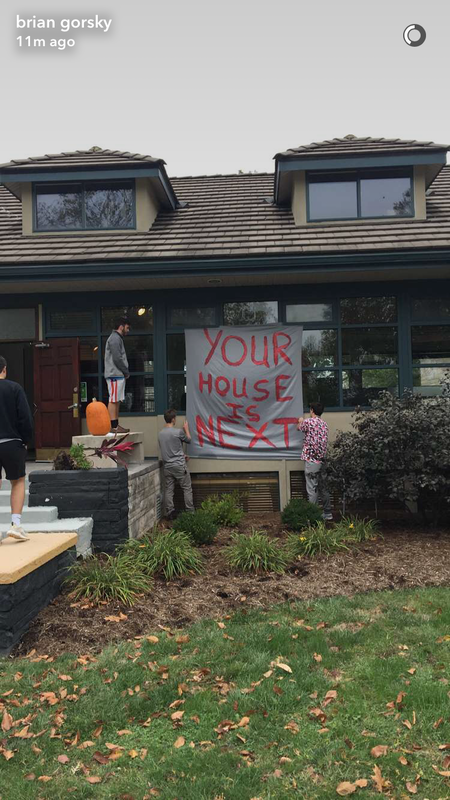 After hearing about the fraternity's fate on Wednesday afternoon, several Sigma Nu brothers made an appearance on their front lawn to hang a sign painted in a menacing red, "Your house is next." Sigma Nu has been on disciplinary status since 2015, and in January the chapter was placed on probation. On September 12, all social and new member activities were suspended. 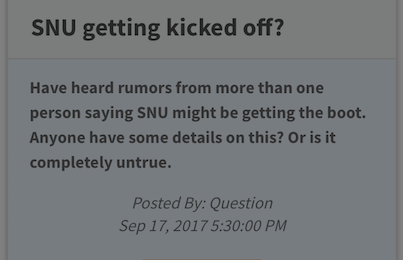 Rumors about Sigma Nu’s suspension have been circulating around campus since September. The suspension falls smack in the middle of Homecoming Week. Already aware of what was to come, Sigma Nu preemptively chose to break off their pair with sorority Alpha Omicron Pi. "For a while they were confident it was all going to be okay and we were going to have a great homecoming," AOPI social chair Courtney Joseph told The Tab. "We didn't drop them because we didn't want to be with them, I was in constant communication with their social chair about what was going on between them, IU, and SNU Nationals." Apparently, Sigma Nu was set for a court hearing on Monday, but were notified Wednesday morning of the suspension. According to Shannon Gorsky, the concerned sister of a sophomore living in the fraternity house, the brothers must evacuate the mansion by October 22.